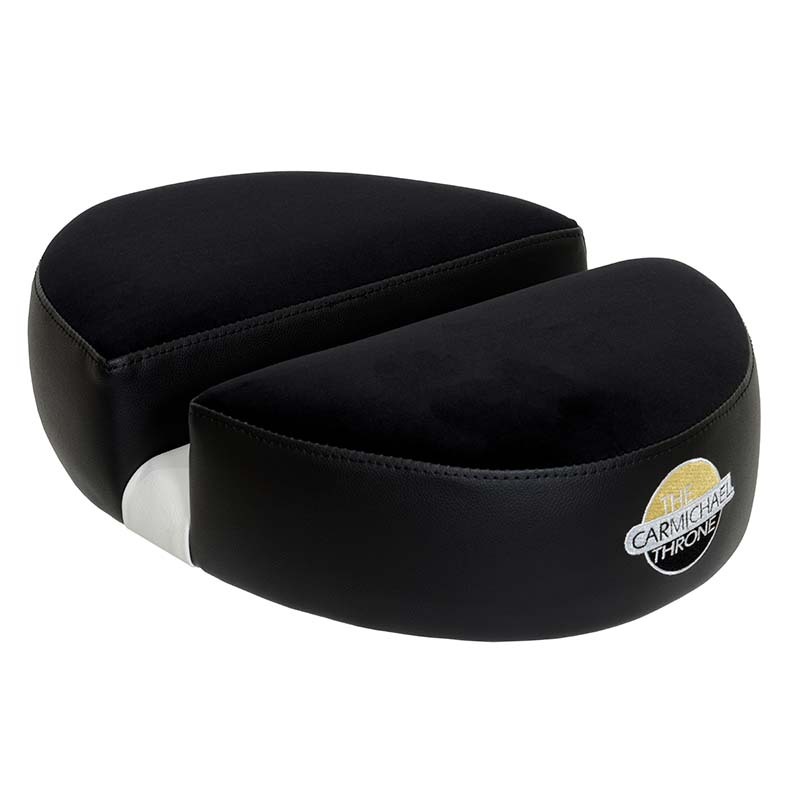 13.25″ Deep x 17.75″ Wide Carmichael Throne Double D Seat Top featuring a 2″ wide center channel cut out for spinal pressure relief. Helps to reduce back, shoulder and neck pain. 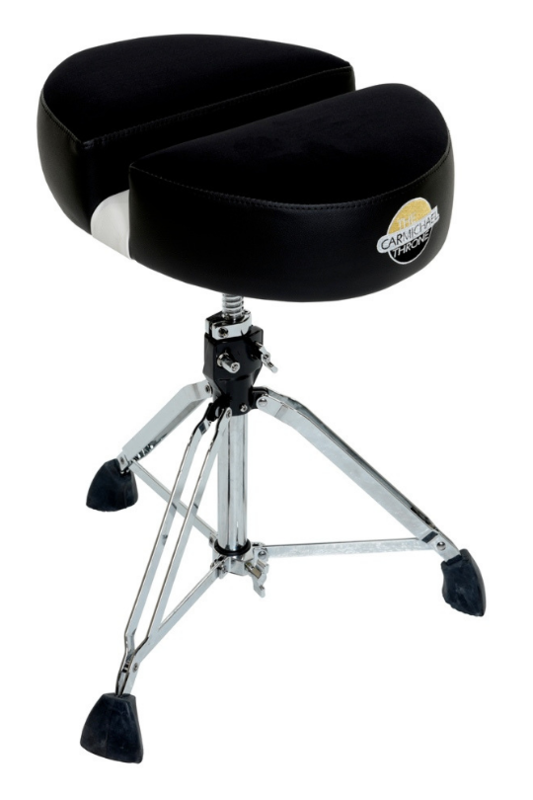 The gap in our seat top allows for better air circulation keeping you cooler while you perform. 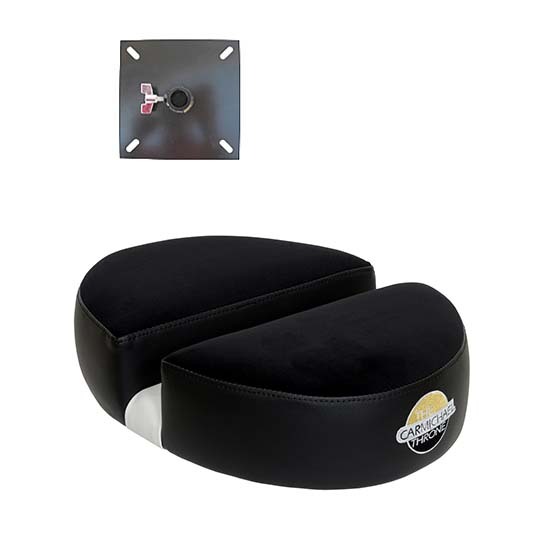 The graduated oval shape allows for decreased hamstring pressure. Upholstered in extra durable vinyl and cloth fabric. My wife bought this for me for Christmas so the review is in her name lol. On to my new seat, SO GOOD!!! I’ve looked for years to find something that would keeps my hips and back from hurting after spending hours on my previous throne. Took a shot on this and I’m so glad I did. I felt better when I got up from playing than when I sat down and I felt more energetic on the kit than I have in a long time. My back and hips were even loose the next day!!! Amazing!!! It fit right onto my Roc N Soc hydraulic base too!! Dan and crew are lifesavers and I am very grateful.